Rice Fruit Company Inc. employed Wm. 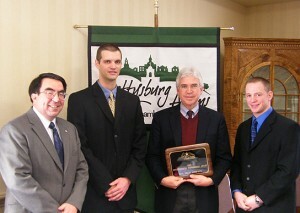 F. Hill and Associates Inc. to develop a Site Development Plan for a new 23,087 sq. ft. controlled atmosphere building. Site constraints created opportunities for innovative solutions involving several Best Management Practices (BMP’s), including a 19,072 sq. ft. extensive green roof, pervious concrete, and check dam swales. Through the use of the green roof and porous concrete, Rice Fruit Company Inc. was able to overcome zoning related barriers on the site while still meeting all of the necessary local and state stormwater management requirements. This project was split into several phases, and Rice Fruit Company Inc. will soon be completing the final phase of work, which involves the construction of a 12,585 sq. ft. controlled atmosphere building addition to the existing building. Typical scope of work included, acquiring local, state, and federal permit approvals, site grading, design of stormwater facilities, ingress and egress roadways, restructuring site arrangement, and landscaping. This project exemplifies sustainable, environmental design by utilizing the above mentioned BMP’s in unison. 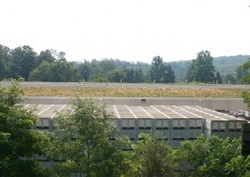 As a result of this project, which was the first commercial extensive green roof in Adams County, Rice Fruit Company Inc. was awarded the 2007 Environmental Stewardship Award by the Gettysburg-Adams Chamber of Commerce. 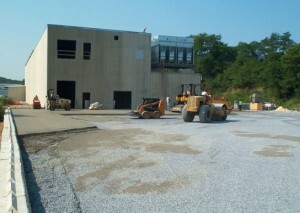 Construction of the parking and bin storage area using porous concrete for stormwater treatment and management. 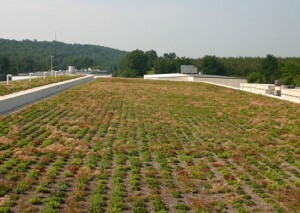 Green Roof approximately nine (9) months after planting. 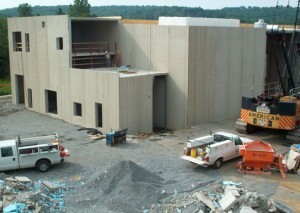 construction using pre-cast concrete wall panels. 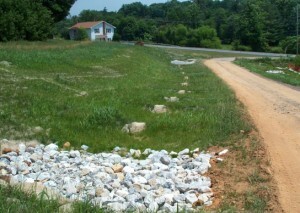 stormwater treatment and infiltration opportunities.